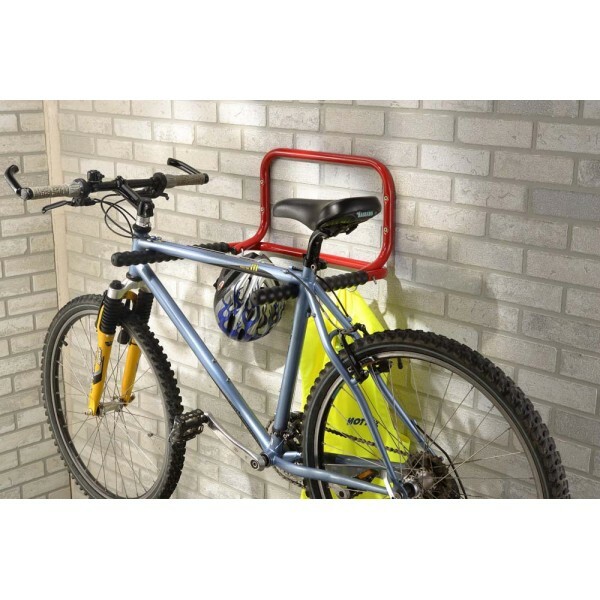 Wall mounted folding cycle rack for 2 bikes. The hinged arm includes two small hooks for helmets etc. Sturdy construction and space saving design for a simple cost effective way of storing a bike.